The 10 Best Boat Rentals in West Virginia! 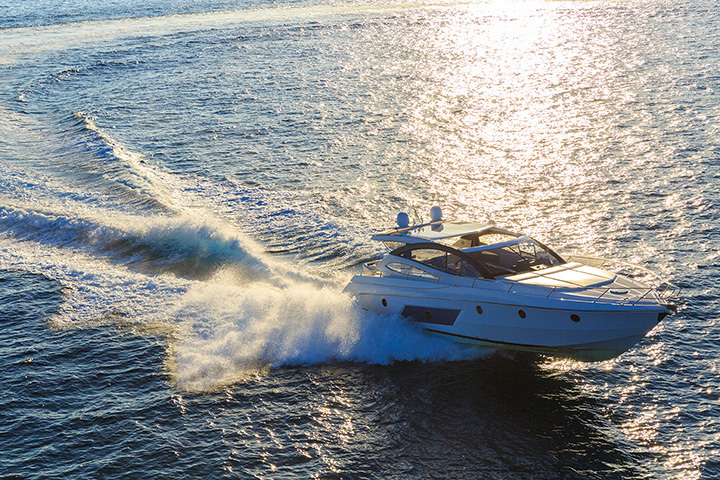 When the weather is nice, time is best spent on the water. There’s no better place for water activities than on one of the Mountain State’s beautiful lakes. Clear pristine waters offer many hours of delightful and relaxing times and by visiting one of the marinas below, you’ll find everything you need to make your trip enjoyable. Have a safe and wonderful vacation on the water in Wild Wonderful West Virginia! Called “the Little Bahamas of the East” and voted the #1 Tourist Attraction in the state, Summersville Lake Retreat in Summersville, West Virginia, offers pontoon boats and slips for overnight rentals. Open year round, this beautiful location offers some of the best scenery in the state. Spacious pontoon boats are available for rental rain or shine, and some restrictions apply. Boats can accommodate up to 10 passengers, and pets are allowed for an extra fee. No alcohol is permitted, reservations, a deposit, and a release waiver are required. Kayaks and canoes are also available with fewer restrictions. If you’re looking for somewhere to have fun and adventure on the water, then plan to visit Bluestone Lake Marina in Hinton, West Virginia. Bluestone Lake is the backdrop for a variety of water-oriented recreation, including rental of fishing boats, pontoons, kayaks, and canoes, and slips are available for docking your own water vehicles. Open from mid-April to mid-October, you’ll find all your questions about water and boating safety answered. Non-water activities in the area include hiking trails and camping at Pipestem State Park. Certain restrictions apply at the lake, so check before going. The beautiful Greenbrier River is the backdrop for this state campground offering some of the best tree-lined RV sites and individual camping sites in the state. Open since 1989, you can rent canoes, kayaks, and tubes for some of the best river fun around. The fishing is great on the river and there are three levels of action for all skill levels. The beautiful 720-acre reservoir that is Beech Fork Lake Marina is just south of Huntington in Lavalette, West Virginia. Glide down the unspoiled beauty of the river on a rented pontoon, canoe, kayak, or go fishing on one of the bass boats for eight hours of fun and relaxation. Add a picnic basket, swim suits, and fishing gear, and you’ll have everything you need to make memories for your entire family. The marina also offers docking privileges if you own your own boat. Sarge’s Dive Shop, a unique floating store located in Summersville, West Virginia, is the state’s #1 place to get scuba gear. Nearby Summersville Lake offers the best and clearest freshwater lake east of the Mississippi River for hours of swimming, snorkeling, and other diving activities. Kayaks, canoes, and paddleboards are available for rent, and Sarge’s is a TDI, SDI, ERDI, and NAUI full-service dive center. Open mid-May to mid-September, this is the place to visit for everything related to scuba training and equipment. With beautiful mountains in the background and quiet, peaceful waters under you, what could be better than a relaxing journey in a rented pontoon boat for you and your friends or family? For those who want a little more excitement, there are speed boats available and everything you’ll need to make your time enjoyable and safe. Boat slips are offered if you have your own boat and overnight lodging is also available. Ever wonder what it would be like to live on the water? What could be better than seeing for yourself when you travel to Sutton Lake Marina in Sutton, West Virginia? A 14-mile, freshwater lake located in the Mountain Lakes Region of the state offers over 10,000 acres of undeveloped land with hidden coves along the edges where you can stay the night. During the day, you’ll see mountains reflected off the crystal clear water as you travel along. You may encounter an occasional fellow boater, a canoe, kayak, or paddle boarder, but the lake is generally uncrowded. Fishing is great and there is an abundance of bass and crappie. Central West Virginia is home to Berry’s Campground. Located in Hinton, this family-friendly camp has all the amenities to make your next camping trip a memorable one for your whole family. They have 20 RV/tent sites along the river, in-ground fire pits for late night storytelling, plenty of picnic tables, and a dump site nearby. They also have hot showers, wireless Internet, and public restrooms. Water activities include guided fishing tours, and day rentals of rubber duckies, tubes, kayaks, and canoes. Large groups get a special discount. On the water and off, you’ll find everything you need for a great vacation here at Burnsville Docks in Burnsville, West Virginia. Close to Glenville Golf Club, Sutton Lake, and several beautiful state parks, Burnsville Docks is a full-service facility that offers hourly, daily, weekly, and monthly rates for boat and slip rentals. Need to get away for a day or a weekend and want to experience something different? Call ahead and reserve a spacious pontoon boat and take a journey down the Kanawha River. Start your adventure at Pier 54 Marina in Charleston, West Virginia, where you’ll find everything you need including food, cold beer, gasoline, and other provisions for the trip. Prices are reasonable and the staff is friendly and helpful so you can have a fun and safe time on the water.